“I managed to grab my absolute favourite Legend of Zelda enemy, the Miniblin from Zelda: The Wind Waker. TamarinFrog from Finland is one of the artists that are featured on GA-HQ since years and also became active contributors with the time. She created a good handful of artworks for our art collaborations already but her take on the Miniblins is her first one for the Blacklist! 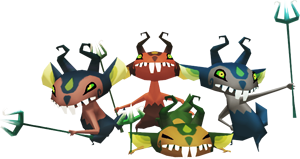 The Miniblins are known as the weakest members of Ganondorf’s army in Zelda: The Wind Waker and indeed…they can be defeated with one weak hit already. They can only be a small threat if they attack in a horde. There are places in the game where Link does not have his sword and needs to distract these little foes with an All-Purpose-Bait ..and run away. 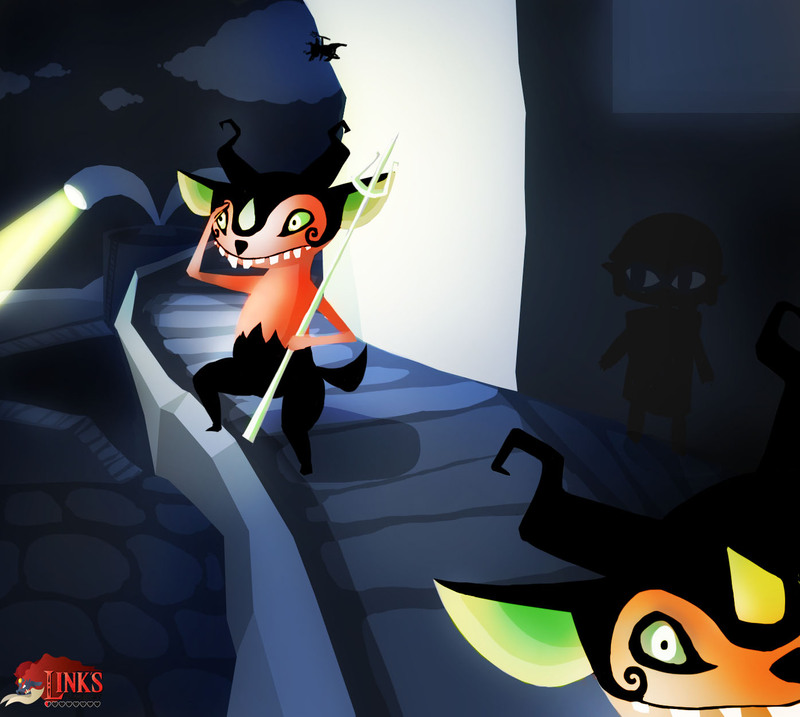 Our first illustration of the Miniblins was drawn by Gakoru from Belgia who participated with multiple submissions to Link’s Blacklist already! “This Entry was I think the one that was most work, but that was only because I had messed up some thing with the background so I had the redo it and reorganize parts and stuff.